Have you ever made a cheese dip or spread that people rave about? 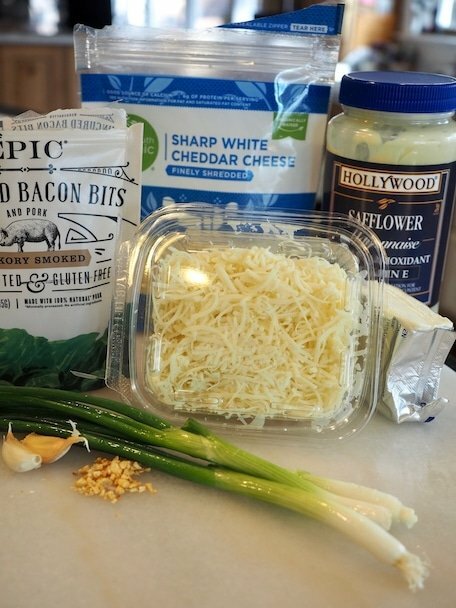 With fresh grated cheese and 5 simple ingredients you will have not one, not two, but three different creamy, flavorful cheese dips that your friends and family will love! I love having a simple dip that makes a big impact to a crudités platter, cracker or charcuterie board. At our local grocery store we have a Murray’s™ gourmet cheese section with a couple of creamy cheese dips that are out of this world! I mean, the kind you buy the first time out of curiosity and then mysteriously find yourself with a container in your grocery basket every time you hit the store. The kind that you can grab some crisp crackers or some carrot sticks and dig in, where you think twice about sharing with your friends and loved ones. Yeah, that’s the stuff! Over the holidays I was tinkering around with a Million Dollar Cheese dip recipe, the ones that are all over Pinterest and I think I might have stumbled upon what I think are the perfect copycat recipes for these decadent gourmet deli dips. 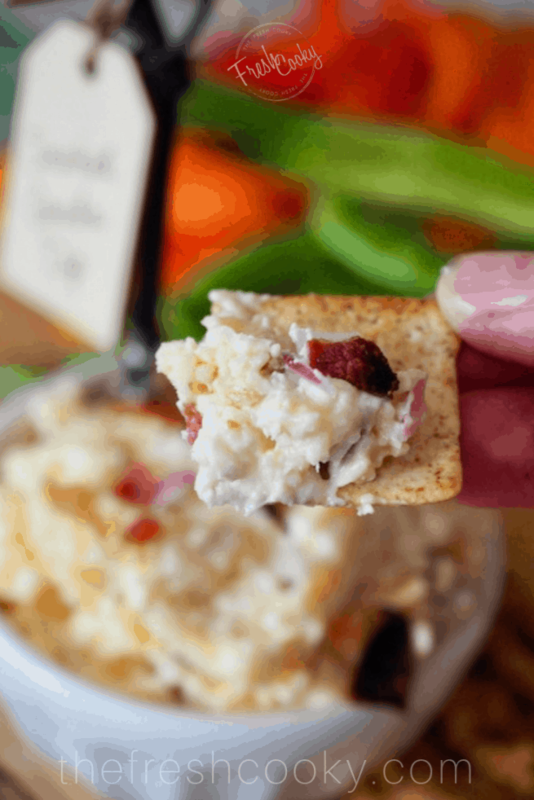 So friends who love Chad’s Smoked Gouda dip, Jarlsberg Jalapeño dip and regular Jarlsberg dip from the Kroger™ chain; grab some fresh veggies and crackers and whip up these delectable dips in minutes. Oh and it makes plenty, so you won’t mind sharing with those around you! The ingredients and steps for each recipe are very similar, but deliver delightfully different flavors. 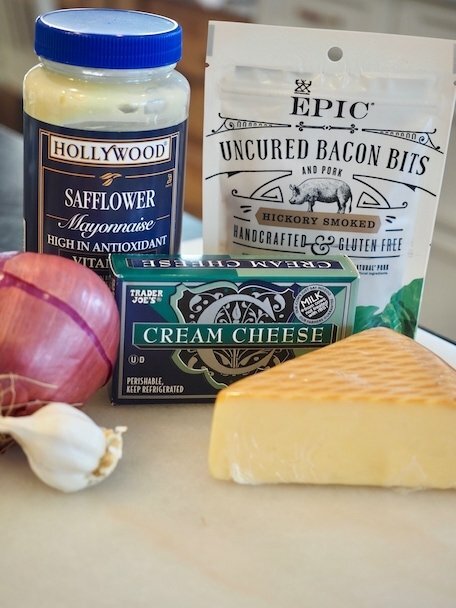 First a few prep details so you are ready to whip together your awesome cheese dips in minutes! In a heavy duty skillet (I love my small Lodge Cast Iron skillet), over medium-high heat, pour about 1 tablespoon olive oil. Once hot, toss in your finely chopped garlic (start with 2 cloves) and stir until golden, stir the entire time and don’t walk away, just takes a couple of minutes and it will burn fast! 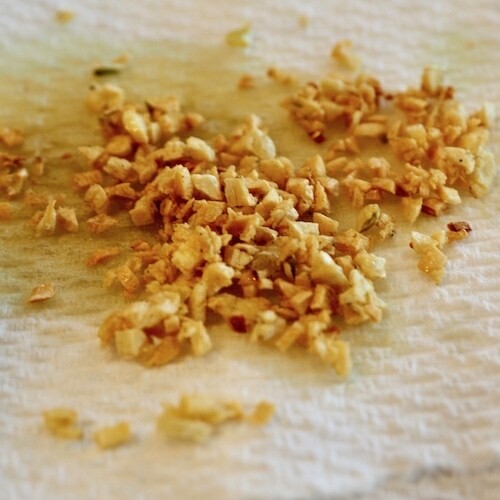 For tips, substitutions and other ideas for toasted garlic, see recipe below. 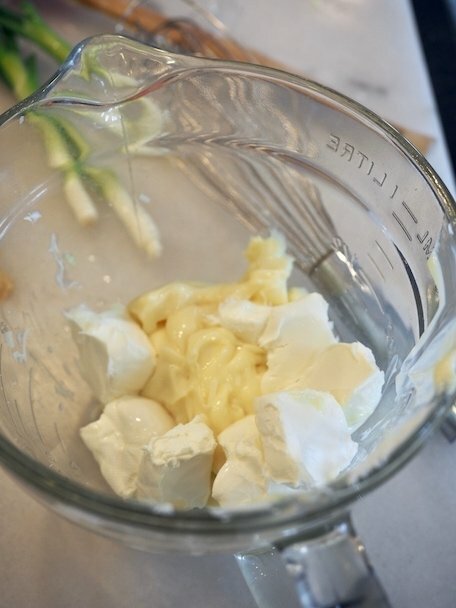 In a small mixing bowl, mix together your softened cream cheese (if using) and mayo. You may want to whisk or stir the cream cheese up prior to putting the mayo in, but either way you can get it pretty smooth whisking it well. 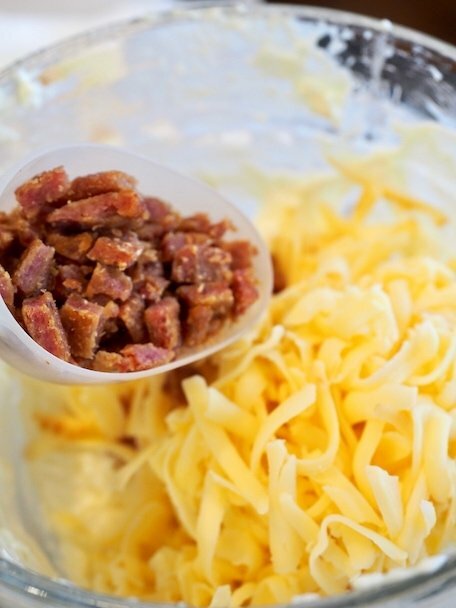 Toss in your shredded cheese(s), minced red onions or green onions, your salt, toasted garlic and bacon bits. TIME SAVER | I love these Epic Bacon Bits, they are all natural, no nitrates or nitrites, gluten free; they hold up great and actually look like real, thick bacon! I toss the bag in my freezer so they last longer and use them for bacon emergencies. You have bacon emergencies don’t you? Tell me I’m not alone!! Stir it all about, mixing until ingredients are combined. Now, it tastes fine right away, but I like the flavors to hang out, mingle, get to know one another, so place them in a covered container and refrigerate for 30 minutes or more. Can be made a couple of days ahead of time; this will firm it up, but it becomes more spreadable as it sits out. Aren’t they gorgeous, well I think they are beautiful because I’m pretty sure, at least in my food world that cheese takes the cake…so to speak. 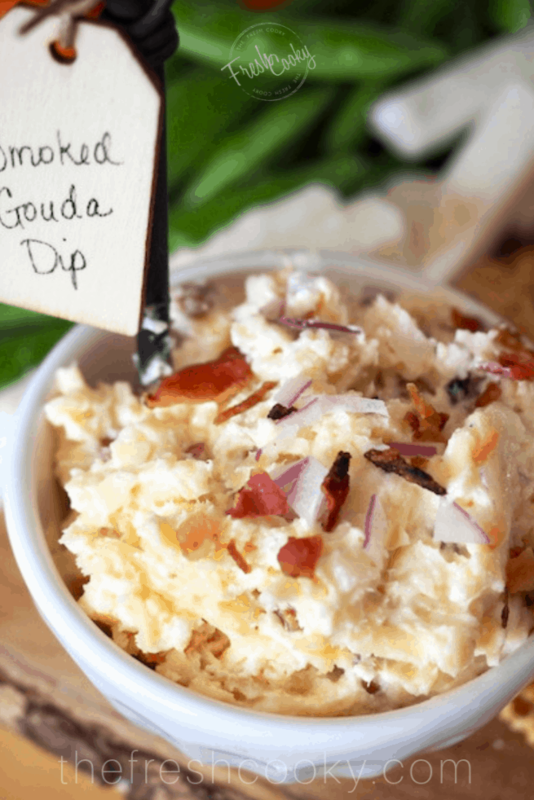 Smoked Gouda cheese packs a flavorful punch of smokey, salty flavors in this dip. 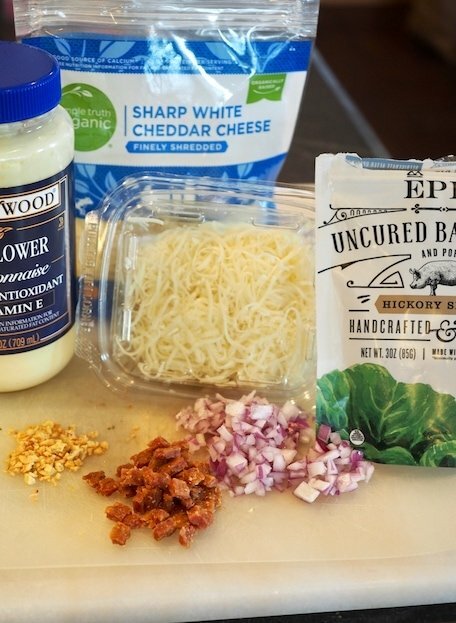 Mixed with cream cheese (optional), creamy real mayonnaise, toasted garlic, minced red onions, and real bacon bits. Ingredients for this amazing, slightly spicy dip! 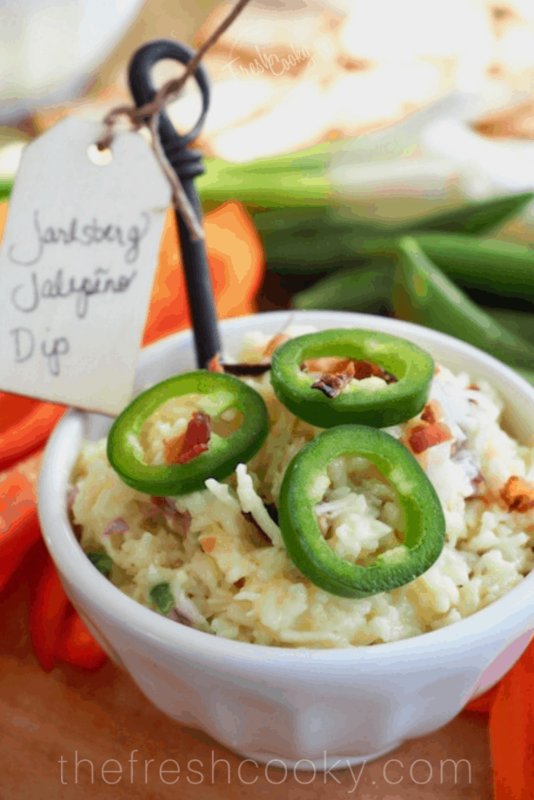 Nutty and flavorful Jarlsberg cheese is the star in this dip, along with cream cheese (optional), mayo, garlic, red onions, bacon bits, minced fresh jalapeño and a little salt. If you don’t like heat, omit the jalapeño! 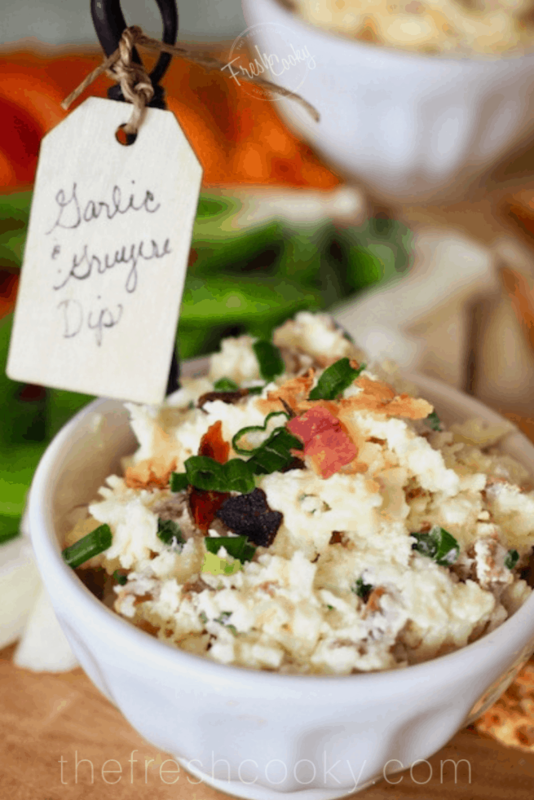 Slightly salty, sweet, nutty, and creamy, Gruyère shines in this dip, mixed with optional cream cheese, white sharp cheddar, mayo, toasted garlic, green onions, bacon bits and a little salt, it’s like fondue in dip form! This one is especially yummy baked, but just as delicious cold. 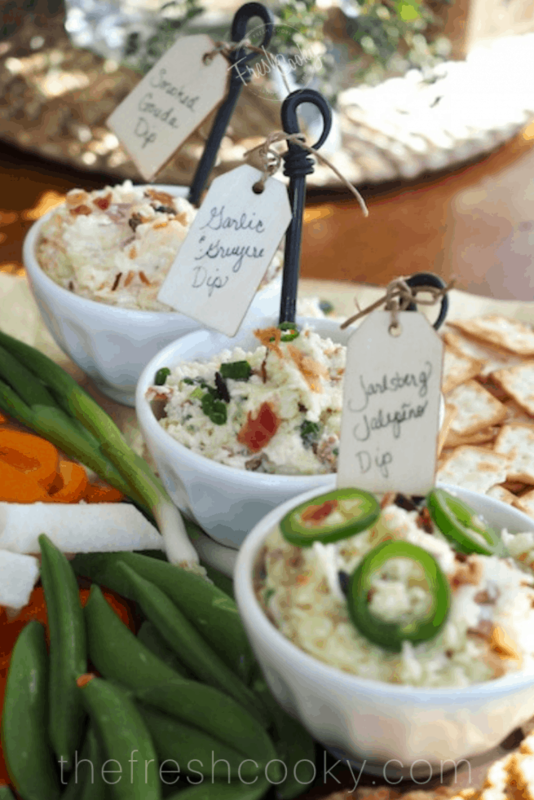 There you have it; 3 sensational, show-stopping, cracker hoarding dips you can make for your next pool party, backyard barbecue, holiday feast or evening soirée! Spoon a small amount into pretty serving bowls and if desired, place markers on them so your guests know what they are eating. Want a softer, more spreadable dip? Omit the cream cheese! Reduces the overall caloric intake as well. Prefer a firmer dip, keep that cream cheese in there. If you plan on baking it, I recommend keeping the cream cheese in for a smoother, creamier hot dip. Also, feel free to adjust your shredded cheese up or down as different mayo’s and cream cheeses have different moisture contents. If you like this recipe, give my brand new, though tried and true, Creamy White Queso recipe a go! Oh my goodness!